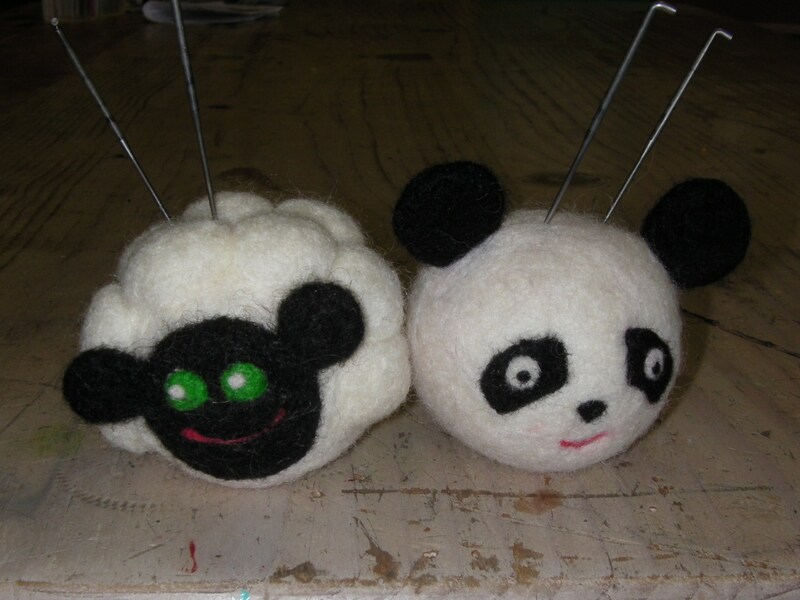 ← Wet Felted Balls plus IMAGINATION! 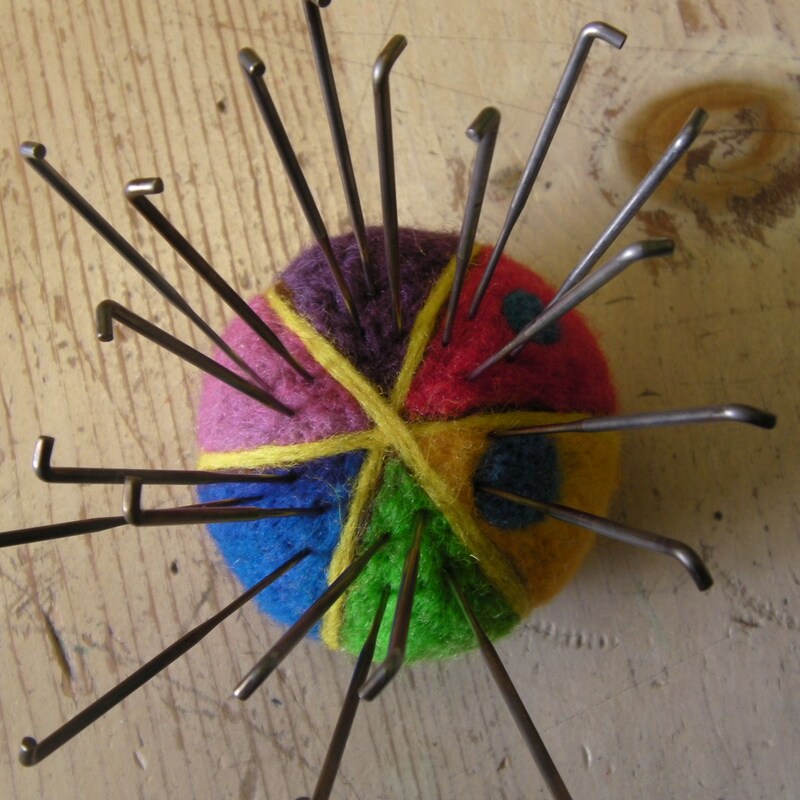 Just wondering if you had considered using different colors of nail polish on the handle side of your felting needles? There are so many colors of nail polish available now that no two have to be the same. Don’t use nail polish borrow some or buy them use them and give as gifts to people who do use it. 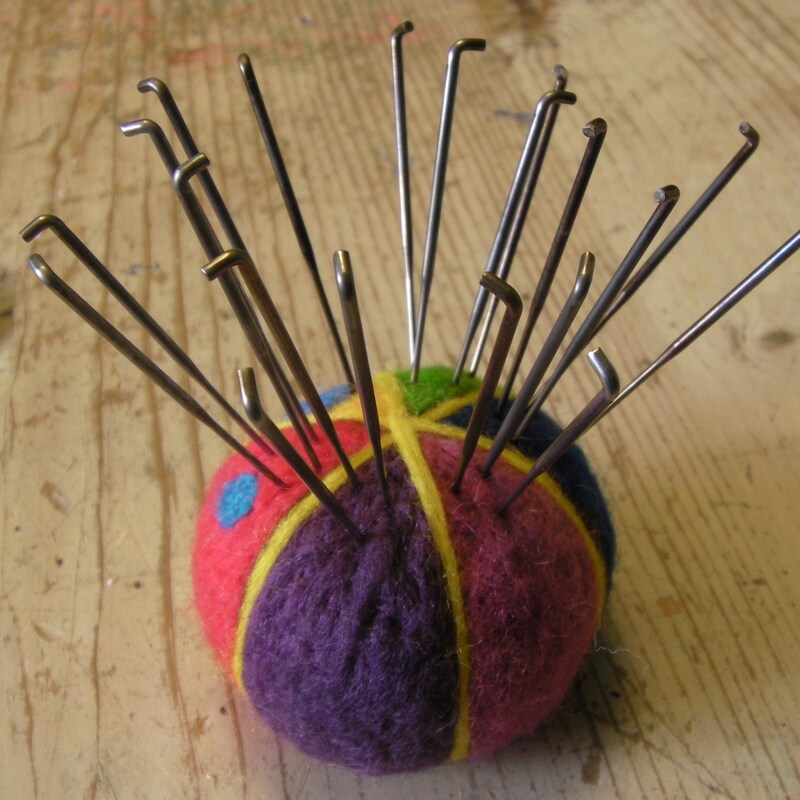 If you painted the needles when you first bought them you wouldn’t have to test and guess. That’s a great idea! 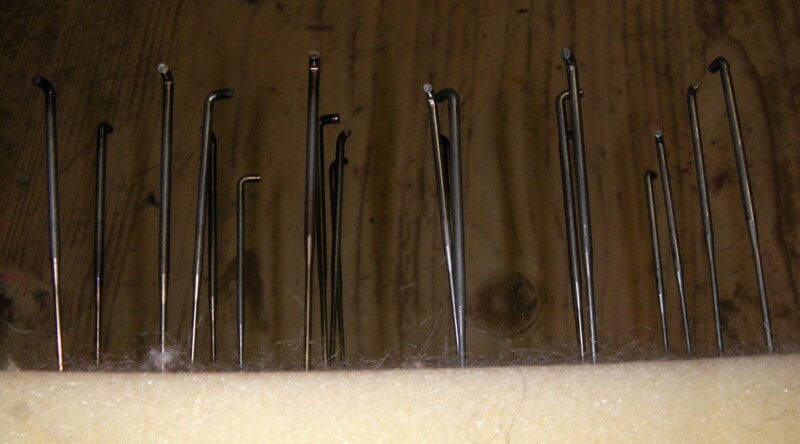 Unfortunately, I didn’t realize my needles were going to fall out of their paper packaging, until it was too late. I thought maybe others had a similar problem and I could give some insight, but definitely presorting and labeling is the best way to do it! Thanks for the suggestion. 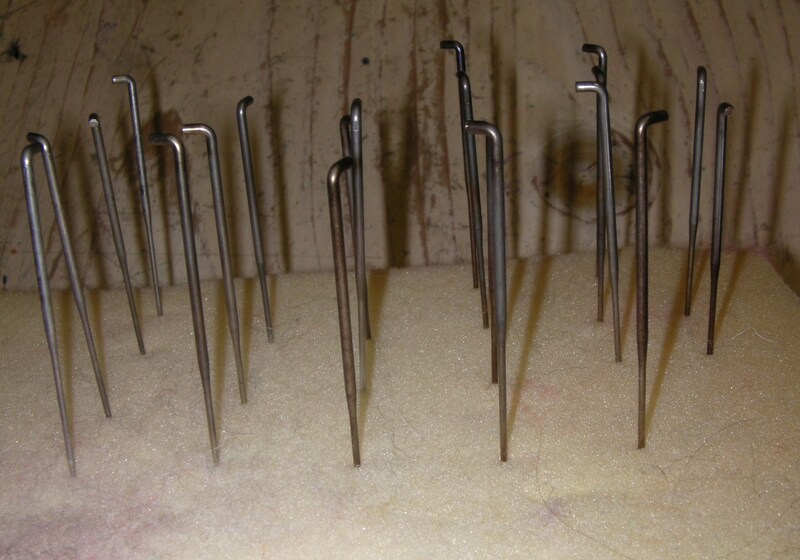 I made simple handles on my needles with Sculpey when I got them. Green for the small and red for the large. I am very new to this craft. That is a good idea! I was looking into dipping my handles into different colored liquid plastic. A similar idea but I haven’t gotten around to it yet. 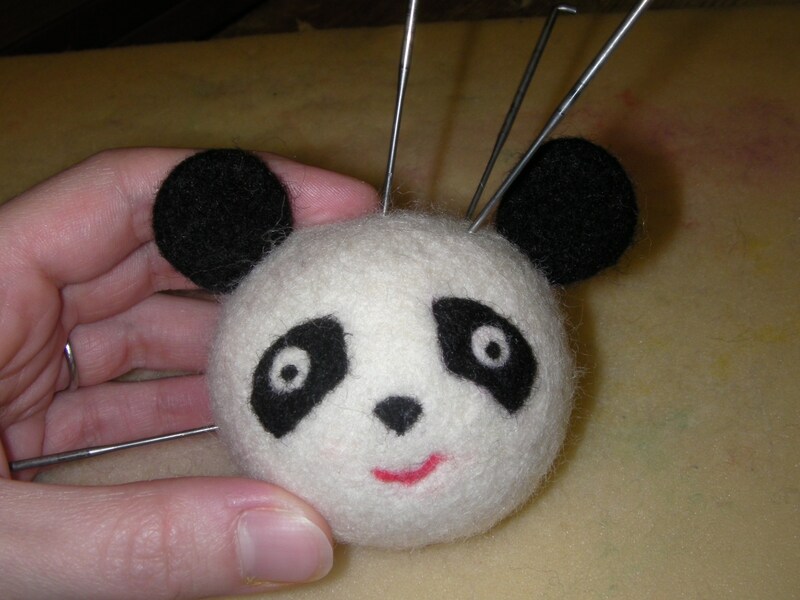 Good luck at felting!